J.D. Martinez played in his first game with the Tri-City ValleyCats in July of 2009. Fast forward 10 years later, and Martinez will once again appear inside Joseph L. Bruno Stadium, this time immortalized as a ValleyCats bobblehead. The announcement was made on Monday by the Tri-City ValleyCats in honor of National Bobblehead Day. The bobblehead giveaway, which is presented by Snapple, will take place on Monday, August 5th when the ValleyCats take on the Lowell Spinners, minor league affiliate of the Boston Red Sox. The first 1,500 fans through the gates will receive the bobble. Season ticket holders and Uncle Sam mini plan holders are guaranteed to receive the J.D. Martinez bobblehead as a benefit of their ticket package. Martinez is the latest addition to the ValleyCats' Capital Region Baseball Heritage Series bobblehead collection, and the sixth former 'Cat to be honored with his own bobble. A key member of the 2018 World Series Champion Red Sox, Martinez batted a career-best .330 with 43 home runs and a league-high 130 RBIs. His stellar numbers earned him an All-Star nod and two Silver Slugger awards, the first player to receive two in one season. The Heritage Series bobblehead collection began in 2012, and pays tribute to those who have played professional baseball in New York's Capital Region. Others to be immortalized into ValleyCats bobble lore include Martinez' 2009 'Cats teammates Jose Altuve and Dallas Keuchel, along with George Springer, Hunter Pence and Ben Zobrist. Troy native Johnny Evers, and Albany-Colonie Yankees Derek Jeter, Bernie Williams, Mariano Rivera and Ron Guidry are also part of the collection. 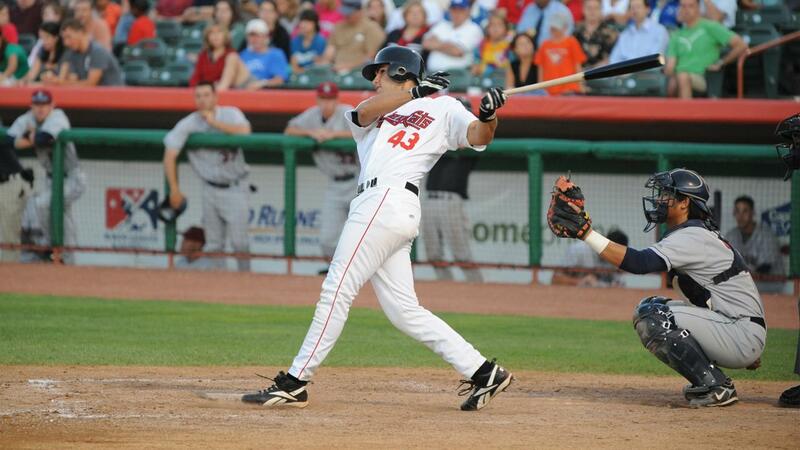 Drafted in the 20th round of the 2009 MLB Draft by the Houston Astros, Martinez joined the ValleyCats in July after beginning his career in Rookie ball. With the ValleyCats that year, Martinez was named a New York-Penn League All-Star, capturing the league batting title with a .326 average. Fans can view the ValleyCats 2019 season schedule, purchase ticket plans, and inquire about group outings by logging on to tcvalleycats.com. For more information, call the ValleyCats administrative offices at 518-629-CATS (2287), or stop by the Joseph L. Bruno Stadium box office.